We want our students to be safe, to trust their instructors, and enjoy swimming. We want them to laugh and love coming to class. We want to create life-long swimmers who can appreciate the joys of water their entire lives! And in order to do that, we have to make swimming an enjoyable priority. 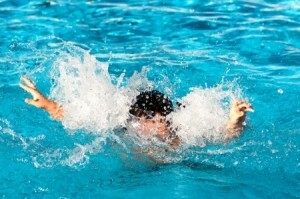 We do this by making our classes fun while incorporating safety and swimming skills. SCSC believes that parents are the best resource we have when working with children. They know their child better than anyone and we encourage constant communication and engagement between instructors and parents. There are several programs we have pulled from and adapted to create our infant/toddler and preschool programs. The premise of our program is based on the United States Swim School Association‘s Infant/Toddler Curriculum. This can be seen in all of our classes, from small class size to the warm water temperatures. We have also worked with some of the industry’s leading experts to create an enjoyable, comfortable atmosphere for our students. We believe that children are the most successful when they are in a class where they trust the instructor and are comfortable exploring. We encourage parents to stop in and visit our facility, talk to our staff, and see how SCSC is truly unique! Survival lesson information courtesy of Bethany Gustavsen from Premier Aquatics.